So you like math? And you like free stuff? Perfect! 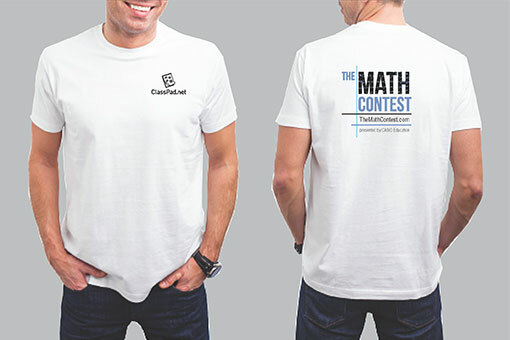 Our friends at Casio Education have designed new t-shirts for The Math Contest and we're giving them away! Each week, one participant will be randomly selected from the list of correct respondents to win a t-shirt. In addition, the person at the top of the monthly rankings at the end of each month will also receive a t-shirt. If you are selected as a winner, you will be contacted by email using the address you supplied when you signed up. Good Luck!